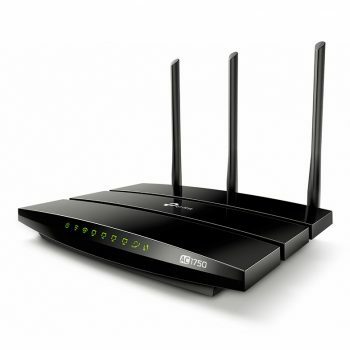 TP-Link Archer C4000 is the latest addition to the TP-Link high end series of wireless router. It comes with a tri-band configuration with the aim to improve the capacity to cate for more devices connected. With the abundance of high end router, we shall see how this router differentiate from the rest. The design of the Archer C4000 is similar to the older Archer C5400 with the flip open antennas and a rather rugged industrial look to it. The top of the router is filled full of ventilation holes to keep the router cool. The router is slightly warm to the touch but it is within the operational temperature so do no worry about that. TP-Link Archer C4000 comes with some pretty good specs. The Tri-Band Wireless configuration means that the router actually have 2 high performance 5Ghz band. The benefit of having second 5Ghz band is improved network capacity. With the built-in smart connect feature, the router will steer clients equally to the two 5Ghz bands. This can reduce the congestion and improve the combined speed especially when you have more devices connected. The router support a maximum speed of 750Mbps on the 2.4Ghz band. On the 5Ghz band, the maximum speed is 1625Mbps. Multiply the 5Ghz speed by 2 and add the 2.4Ghz speed, you will get exactly 4000. This router supports NitroQAM or better known as 1024QAM in order to reach the higher speed. Other specs are equally as good. It has 2 USB ports with one of them being USB 3.0. The 4 Ethernet ports are all Gigabit Ethernet ports. There are 6 non-removable antennas on this router. Other Wireless features include beamforming and MU-MIMO. The LED indicators of this router can be disabled in the admin panel. We have reviewed TP-Link routers a lot of time now and the firmware on the Archer C4000 looks the same like any other TP-Link routers. The only differences here will be the features that come with the router. I would say the Archer C4000 comes with a good amount of features like any other high end TP-Link wireless routers. 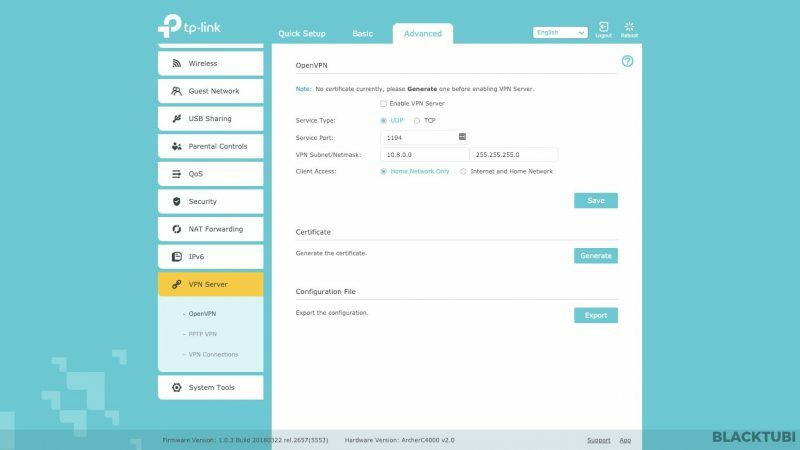 It comes with multiple QoS profile for you to manage your network. TP-Link Archer C4000 also supports access point mode. Smart connect is not enabled by default. We suggest enabling this. The router can support dual WAN aggregation as well. 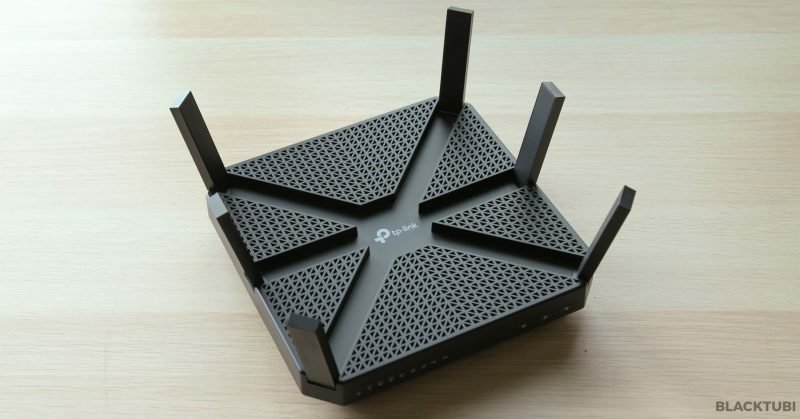 There are a decent amount of features on this router. We really like the Homecare Antivirus which we will talk more in the next section. The Homecare parental control is also great as it not only provide timing control, it offers content blocking over a set of defined categories. 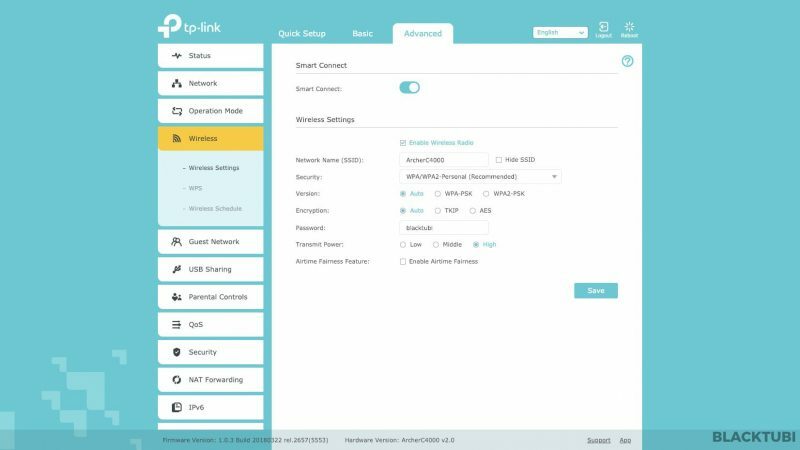 There are also plenty of networking features in the firmware which may come in handy. There is an OpenVPN and PPTP VPN server option but we would rather prefer a VPN client instead. They also support remote monitoring via TP-Link cloud. 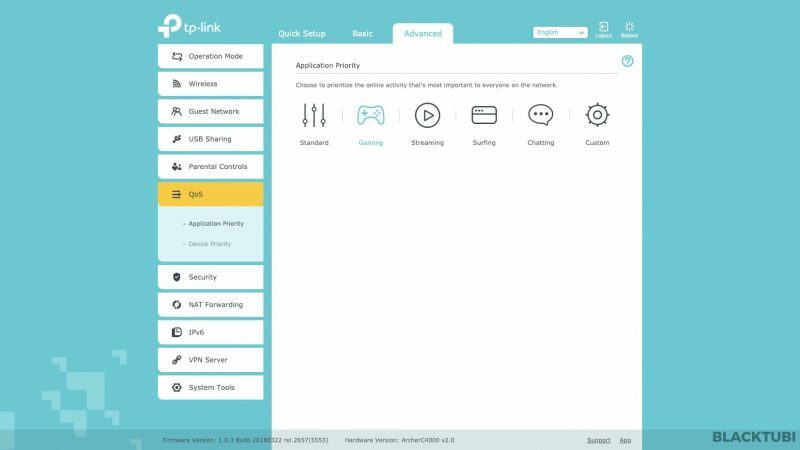 TP-Link also have an app for remote monitoring and configuring the wireless router. 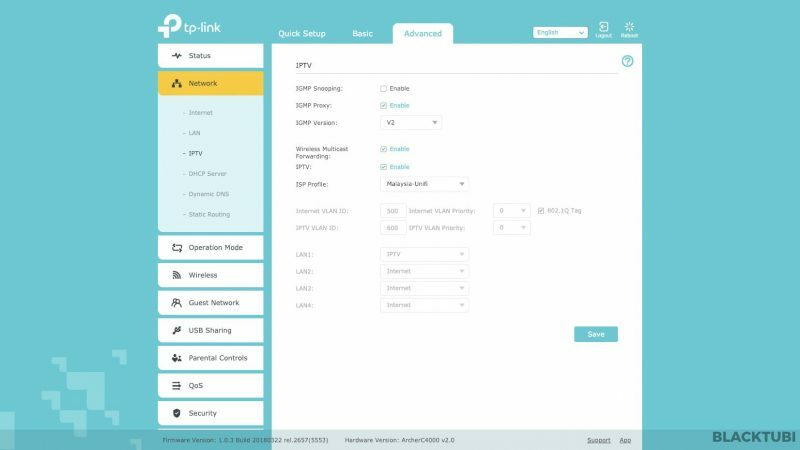 The TP-Link Tether app is available for both Android and iOS devices. The app is fairly simple and we think the most useful part is probably checking who is connected to the network. There are also some quick configuration options on the app. This feature is not enabled by default. We suggest enabling this feature. 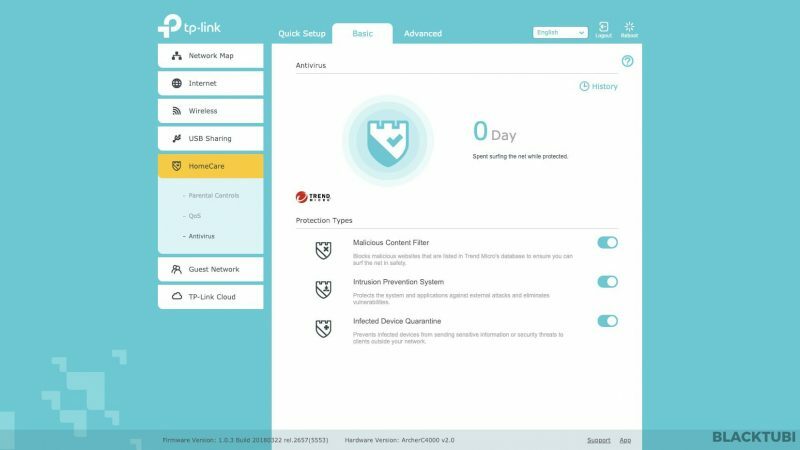 TP-Link included their Homecare Antivirus feature on the Archer C4000. The Antivirus feature will actually prevent all your devices from accessing a website containing a malware. It is powered by TrendMicro database so I would say it should be pretty reliable. We actually went and tested the Antivirus feature and found that it can block us from accessing a website containing a virus. Remember to select the profile in the setup wizard. You can check this page and see if you have selected the right profile. TP-Link Archer C4000 is fully compatible with Unifi with HyppTV working. It is also compatible with Maxis Fibre and TIME. 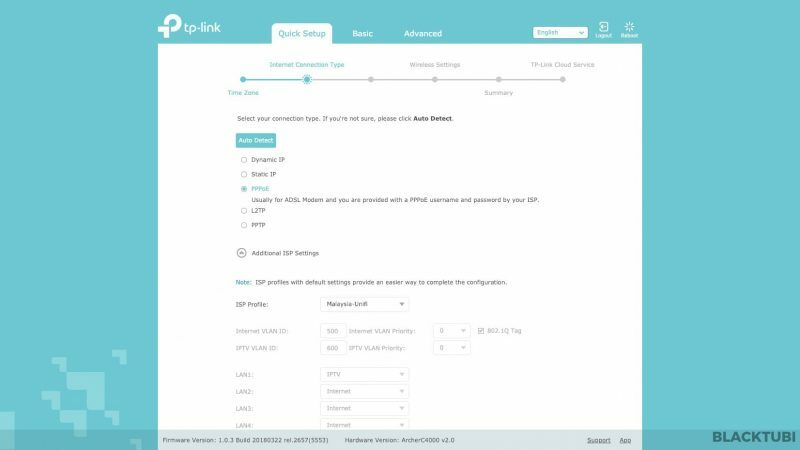 The setup process is very simple as the router will ask you to select the ISP profile in the setup wizard. 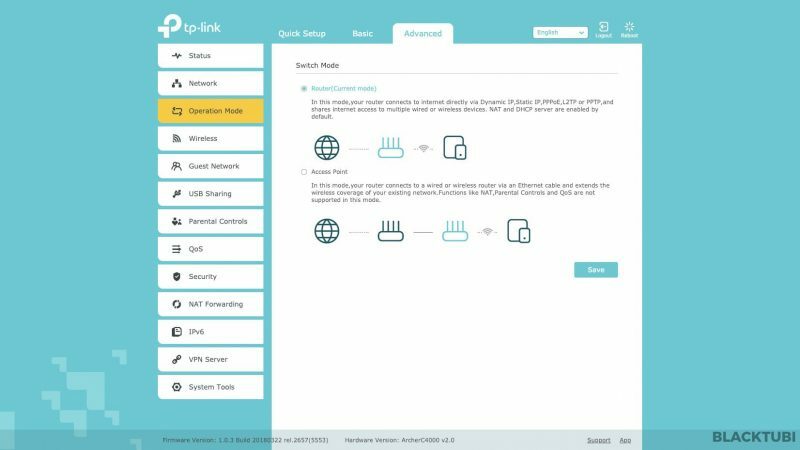 You can refer to our TP-Link Unifi setup guide here. 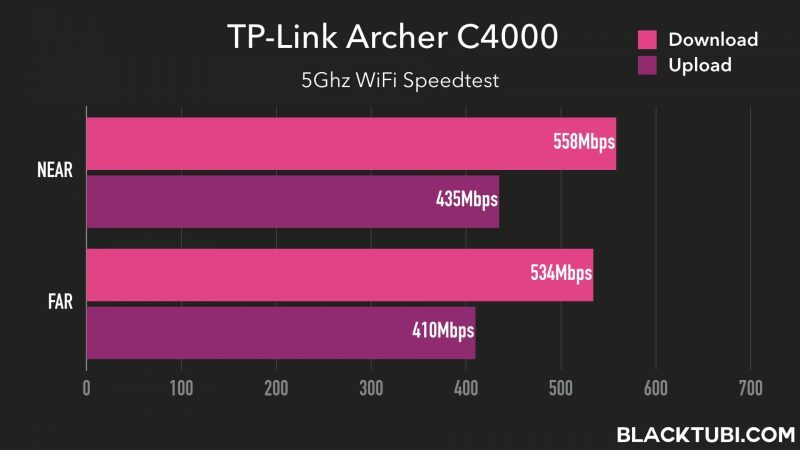 TP-Link Archer C4000 is able to deliver speed up to 940Mbps on a Gigabit Internet connection. 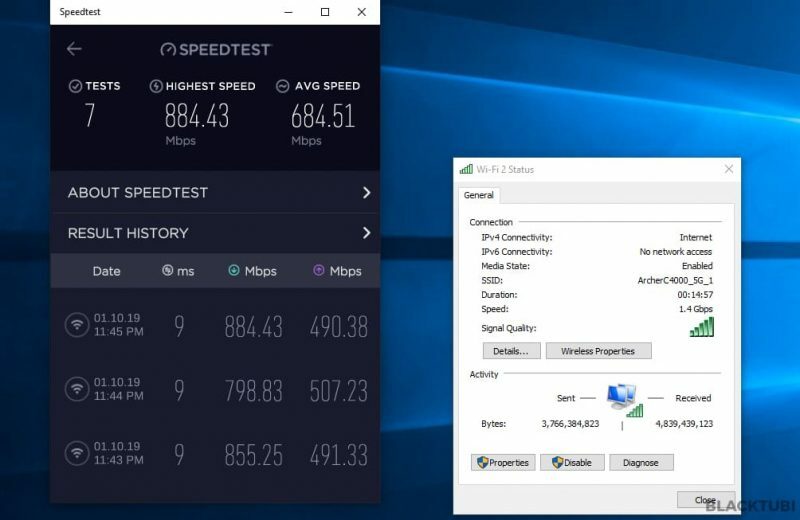 This is the maximum speed capable so we can conclude that the CPU of the C4000 have no issues handling a Gigabit Internet connection. 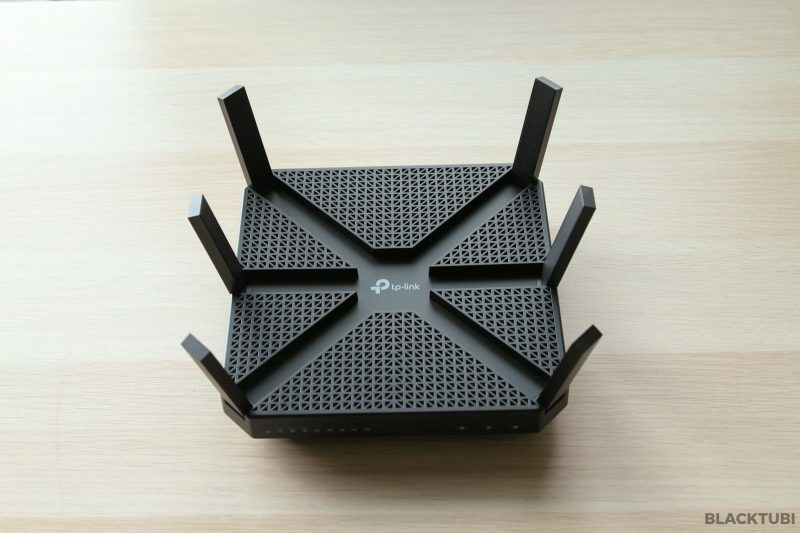 The peak WiFi performance is designed to test the maximum performance of the router using the best WiFi receiver we can get in the market now. We will be using Asus PCE-AC88 which is 4×4 capable and it supports NitroQAM. In our test, we have no problem getting over 900Mbps over WiFi. It is a really good performance considering the Archer C2300 is just a 3×3 wireless router. We got to remind you that getting to this kind of speed is almost impossible without using a 4×4 receiver and this is tested on a close distance to the wireless router. 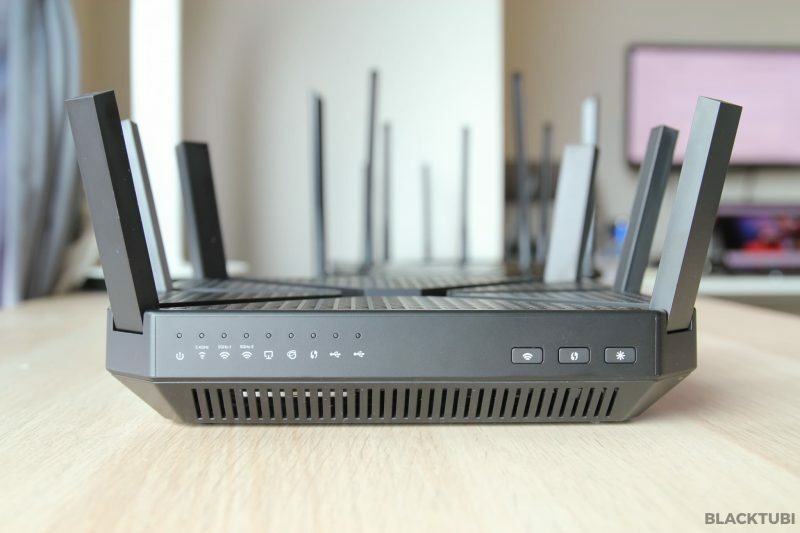 The WiFi performance test is designed in a way to see what is the expected speed you will get with a normal device as understandably, most people will use the router with just their laptop or phones with just an AC1200 capability. We will be testing this on 2 distance, the short distance test is within 3m with line of sight to the router and the long distance test will be over 7m over a reinforced concrete wall. The results are really impressive on the Archer C4000. Not only it delivers exceptional WiFi coverage, it do so in really good speed at the same time. I will even went a step and say that it is faster than the 4×4 Quad Stream Archer C3150. This shows that a newer WiFi chipset typically improve performance over an older router. We have really amazing WiFi speed and only very minimal drop even on further distance. The Archer C4000 is really a fast wireless router. It is also relatively inexpensive considering for the performance it can offers. The WiFi coverage is really good and fast at the same time. The router is also really easy to setup and fully compatible with Unifi and TIME Fibre. It also comes with some helpful features like the Homecare Antivirus that we highly recommend you to enable. 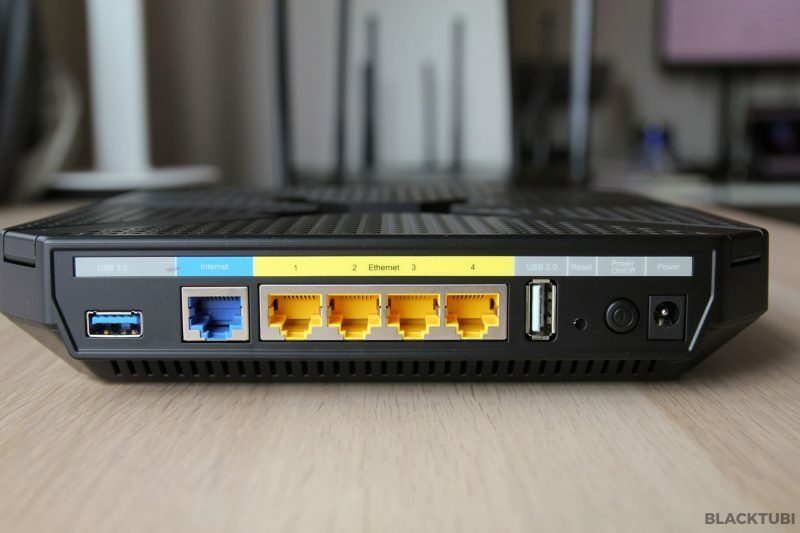 If you stay in a big home, this is the router you should buy. I think this router actually performs better than the C3150 or C5400 thanks to the newer processor. But, the C5400X is still the fastest wireless router from TP-Link. TP-Link Archer C4000 will for sale at a suggested retail price of RM999 at the time of writing. TP-Link Archer C4000 performs really well thanks to the quad-core processor. The WiFi coverage is super strong and stable.